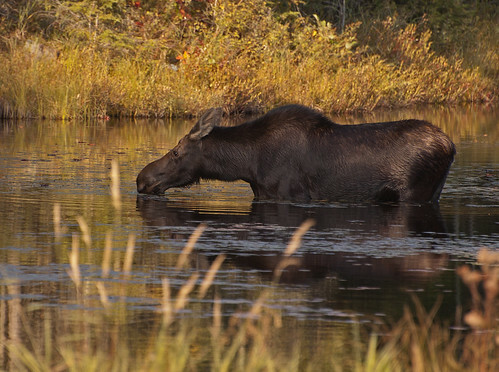 I am not really sure what it is about moose, but I really like seeing them in the wild. 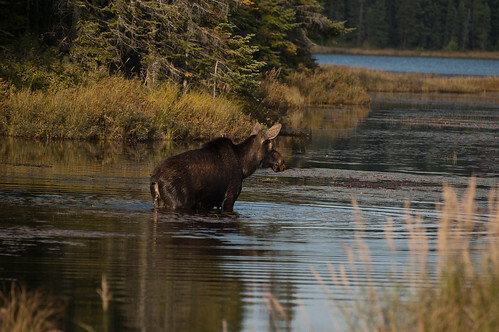 A few weeks ago I was excited to find two moose along Highway 60, though slightly off the beaten track, in Algonquin Park (Ontario, Canada). 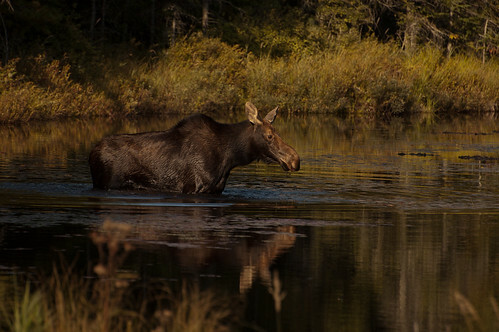 Given the fact that the two were together in the same bog and that they headed off into the woods together made me think that they were a mother with her first year calf. Calves born this year will generally stay with their mothers for a full year or more. 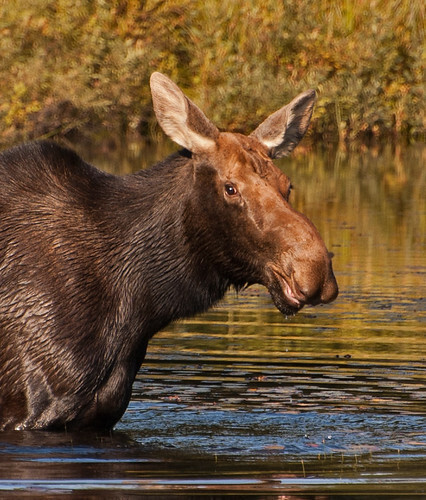 It is a good sign when a moose has it ears upright…when they flatten them against their body…beware! Aw, no peeing in the pool! 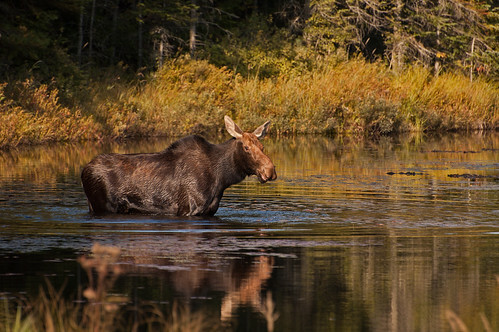 The word moose has been traced back to the Algonquin Indians and means twig eater. This entry was posted on 10 October 2013 by patacoate. 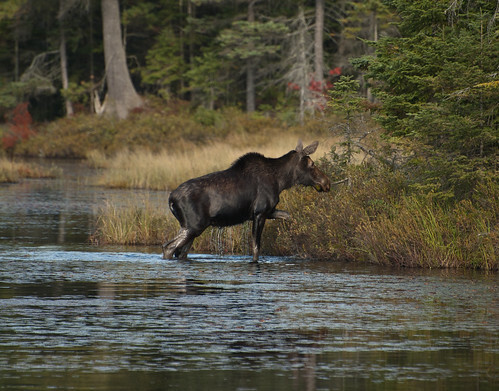 It was filed under iPhone and was tagged with algonquin park, Moose, Moose in Algonquin Park. 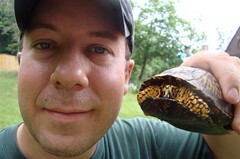 I also stayed with my mother for a full year. Plus, I can run slightly faster than 35 mph.